A1 Quality Home Inspections, Inc.
Northern Illinois Home Inspection Services, Inc. Comment: Looking for someone to fix a broken cap/cover on a heat vent pipe that is on the roof. The cap/cover needs to be black. Also need to get someone to fix a leaky corner of the gutter. Comment: We are getting our home ready to put on the market and don't want any surprises so we thought we'd get a home inspection so we can get everything in order before we list it. Comment: approved home inspection required. Have not made an offer. Planning only. Comment: I want to identify all areas of energy leakage and discuss all potential solutions to resolve the leakage. These are the top areas I want to target for energy leakage: Fireplace, sliding patio door, windows, attic insulation, floors, garage door and wall insurlation between garage and kitchen. Assessment should include review of external features for any energy leakage. Inspection should include calibrated blower door test and thermographic inspection. Comment: I would like to get an estimate for home inspection on a property that I own. It is a property I bought Need home inspection done on it. Schaumburg Home Inspectors are rated 4.82 out of 5 based on 1,055 reviews of 47 pros. 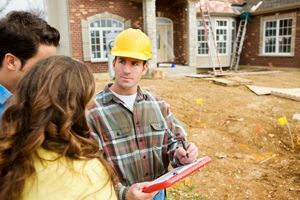 Not Looking for Home Inspection Contractors in Schaumburg, IL?